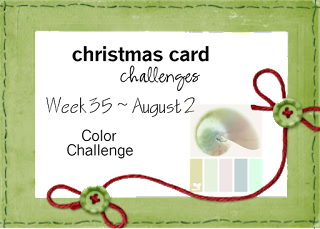 It's time for this week's challenge over at Christmas Card Challenges. This week our Challenge theme is a photo challenge. Get a head start on your Christmas cards and come join us this week. I can't wait to see what you make with this non-traditional color scheme. Thanks for stopping by! This week I made a tag. You can always put a tag on a present or on a card. 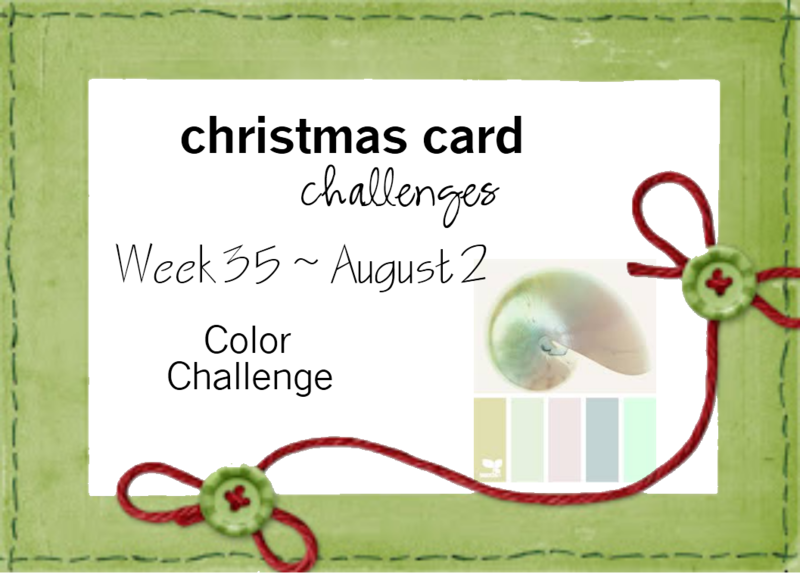 I created the background using Heidi Swapp Color Shine Sprays and Lindy's Stamp Gang Sprays. I used a Tim Holtz Christmas stencil for the words. 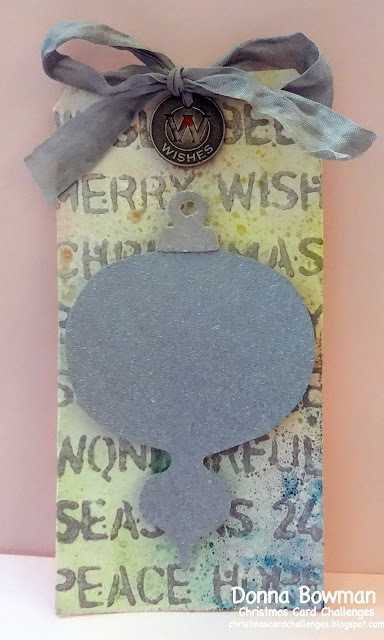 The ornament is a grunge board Tim Holtz Die that I painted with with a blueish gray sparkly paint. I colored the ribbon with Tim Holtz Distress Stain in Metallic Silver and added a holiday charm to finish it off. Tags are the thing I always forget.... that is, until I start wrapping the presents and then it's all rush rush rush lol. Loving this bauble shape on your fab tag Donna!